Lady Gruadh, called Rue, is the last female descendant of Scotland's most royal line. Married to a powerful northern lord, she is widowed while still carrying his child and forced to marry her husband's murderer: a rising warlord named Macbeth. Encountering danger from Vikings, Saxons, and treacherous Scottish lords, Rue begins to respect the man she once despised-and then realizes that Macbeth's complex ambitions extend beyond the borders of the vast northern region. Among the powerful warlords and their steel-games, only Macbeth can unite Scotland-and his wife's royal blood is the key to his ultimate success. Determined to protect her small son and a proud legacy of warrior kings and strong women, Rue invokes the ancient wisdom and secret practices of her female ancestors as she strives to hold her own in a warrior society. Finally, side by side as the last Celtic king and queen of Scotland, she and Macbeth must face the gathering storm brought on by their combined destiny. 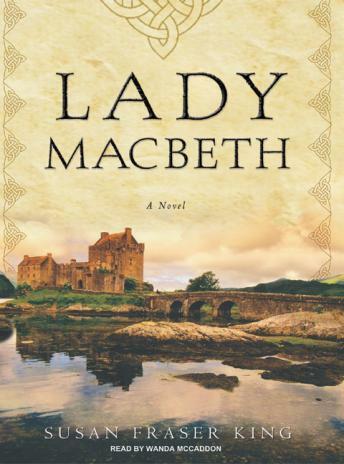 From towering crags to misted moors and staunch fortresses, Lady Macbeth transports readers to the heart of eleventh-century Scotland, painting a bold, vivid portrait of a woman much maligned by history.